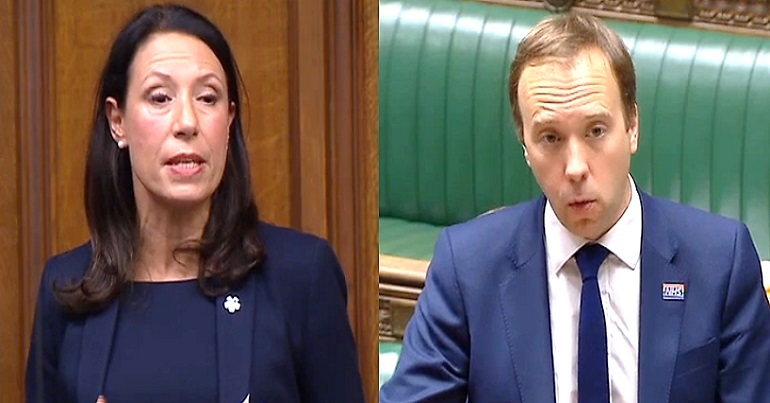 A Labour MP’s question in parliament invoked a dire response from a Conservative minister. And it pretty much sums up what the government thinks of our children. The infant mortality rate increased for the first time in five years to 4.0 deaths per 1,000 live births; the neonatal rate also increased by 3.6% compared with 2016, whilst the postneonatal rate remained the same. what assessment has the health secretary done on the effects of next week’s budget on child health and longevity…? It’s a very important issue that we are right across. It is disappointing but sadly not surprising to be fobbed off with platitudes by yet another cabinet minister. The warnings made by the Royal College of Paediatrics and Child Health are stark. Unless corrected, infant mortality rates… will be 140% higher in England by 2030. Instead of applauding ‘increased awareness’, [Hancock] should be making the case to the chancellor about the very real health effects of the government’s austerity agenda on children, as well as adults, ahead of next week’s budget. But this is not the whole story. As The Canary previously reported, birth rates for the poorest people have been falling. This is while the rates for the richest people have been rising; although this doesn’t account for infant mortality. Couple that with the two-child limit on certain benefits. Then add around 4.5 million children living in poverty. Also throw in childhood obesity rates being highest in the poorest areas. Finally, include child mental health referrals being up 26% in five years. The government has created a perfect storm for our children. From when they are born right up to school age, life is now on a knife edge. And as Abrahams said, all ministers offer is “platitudes”.